Well into the holiday months, we all want to sit around the table with our loved ones, enjoy meals and endless conversations about everything. It seems like all families are waiting for the desserts to be dropped on to the table along with the coffee, the hot chocolate and tea to sip on while taking small, tasty bites into the savory sweets. Let’s not forget about all the comments on how delicious they are and praising the chef, who is usually the mom, on her cooking skills. 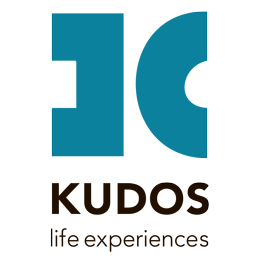 Then come the questions, on what are the secret ingredients or tips and Greeks love to share their successes with the world and they spill the beans on the table. 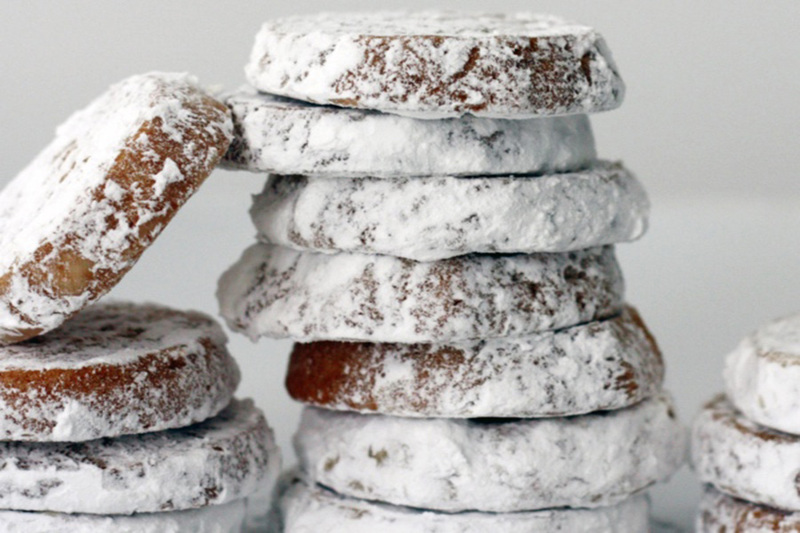 Winter is a wonderful season for yummy treats and the Greeks know how to do them. Some sweeter than others, you can find desserts for all tastes! One of the most traditional sweets for a Greek family to make over the Christmas Holiday season. Looking like snowballs, these almond butter cookies will amaze you with every bite. They add to the already existing holiday ambiance and they give a little twist as they are also infused with cognac or brandy. Another Christmas sweet, served alongside the kourampiedes, are these addictive honey cookies called Melomakarona. There is a rivalry between the two, and most of the time the Melomakarona take the lead, as the gooey taste of them makes you want more and more. 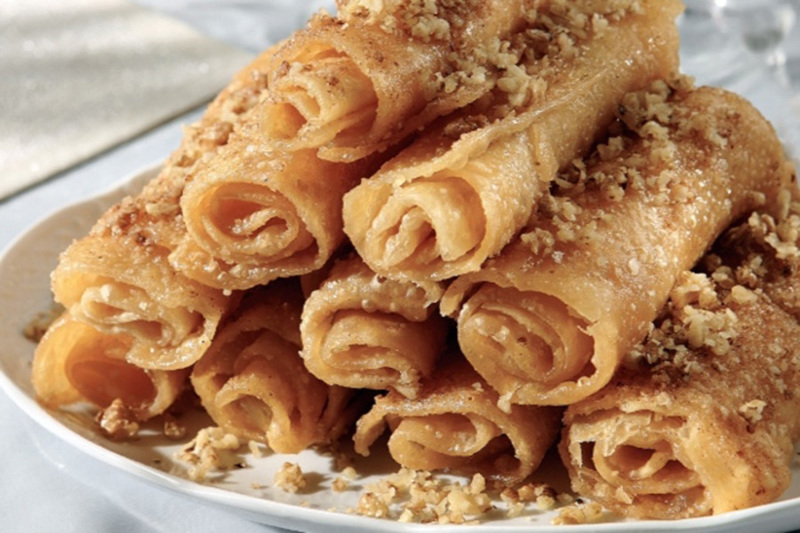 Every self-respecting Greek table, has a plate overflowing with melomakarona making everyone’s mouth drool. Diples are for those who have a sweet tooth and who love the taste of honey dripping from their mouths. 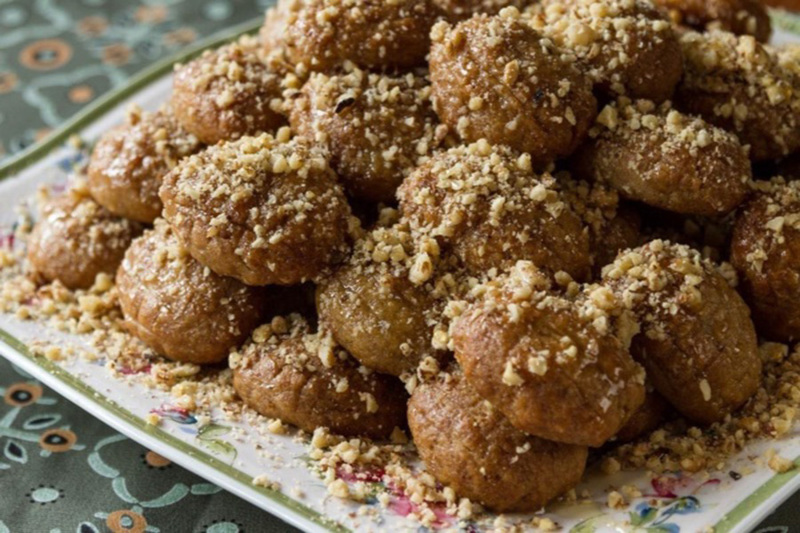 A traditional dessert originated from the Peloponnese and made out of very thin sheet-like dough, diples are fried and folded in hot oil and then dipped in honey topped with crushed walnuts and cinnamon. A bread cake served on New Year’s Day, named after St. 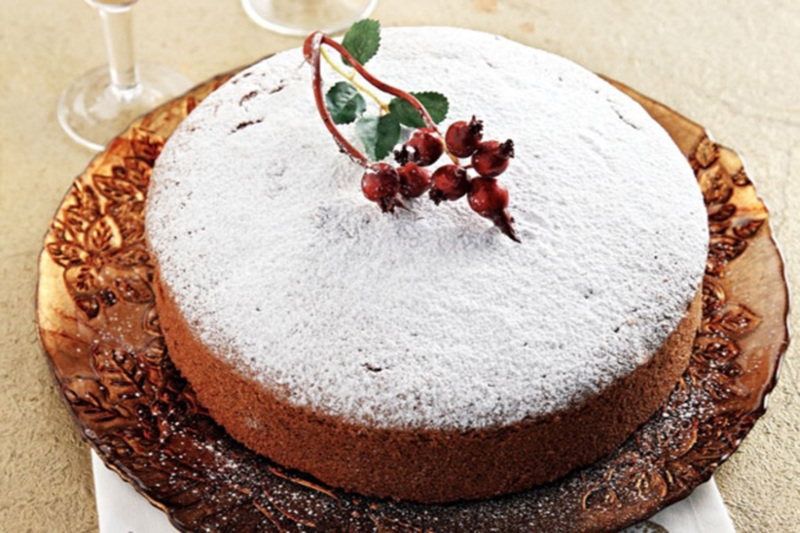 Basil, vassilopita has an extra special meaning as there is a coin inside the cake known as the “flouri”. According to tradition, the head of the household cuts the cake and the pieces are allocated to the Church (the Holy Trinity and Virgin Mary), to the House and each member of the household from eldest to youngest. Whoever has the piece with the coin, is considered to have a lucky year. No one knows where the coin is as it gets lost while the cake is baking. Greeks have a tradition making many fruits and even vegetables into sweet deserts. 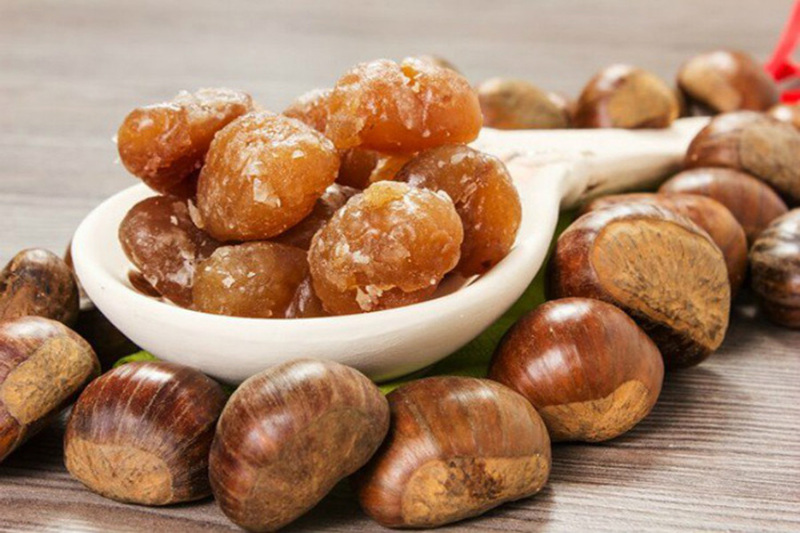 Up on the Greek mountains, where chestnut trees are numerous, a tradition was born, where the chestnuts would be turned into a dessert. Brilliant idea as it is one of the most unique sweets that can be offered at a winter table. Only a few can actually succeed in creating the thickness of the syrup and have the patience to wait for hours until all the ingredients tastefully tie together. Such a small bite but created by the most talented.